We’re not wrong when we say Saturday in the Big 12 was more Super than the so-called Super Bowl. 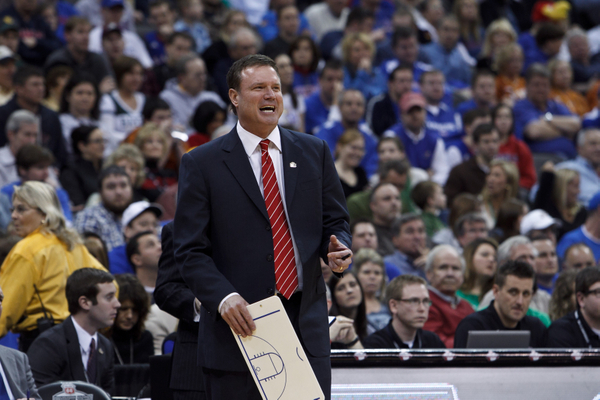 Kansas brought its perfect conference record to “The Drum” in Austin and left imperfect. Jonathan Holmes’ jumper with 16:38 left in the first half gave Texas a lead it would never relinquish. This makes it six wins in a row for the Longhorns, and while it’s still a surprise considering what the Longhorns went through a year ago, we shouldn’t really treat it as a surprise. Think about Rick Barnes’ best teams from the 2000s: Barnes had multi-year players like T.J. Ford, Brandon Mouton, A.J. Abrams and Damion James that took the program to the next level. This year, the junior Holmes and a crop full of sophomores continues to defy logic while shooting up the national polls. One of those heralded Texas sophomores will be out for Tuesday’s game against TCU. The school announced that Javan Felix will be unavailable because of a concussion he suffered in the team’s win over Kansas two days ago. Texas will try to extend its winning streak to seven without Felix’s 12.0 PPG in the lineup. I should the mention that the game will take place in Fort Worth, and with all the craziness that’s gone down in conference play so far, the Horns had better be on Upset Watch headed into this one. Speaking of craziness, Baylor ran into problems just making its way to Stillwater for a weekend tilt with Oklahoma State. According to Jimmy Dykes, who worked color commentary on the game for ESPN, their flight was re-directed to Oklahoma City due to icy conditions near the Oklahoma State campus. The bus from OKC to Stillwater cautiously braved the ice with high speeds topping out at five miles an hour. On top of that, starting point guard Kenny Chery was out because of a turf toe injury. So it only made sense for the Bears to win their first game in three weeks, right? Gary Franklin and Brady Heslip stepped up big-time, combining for nine threes between them, and we also got to see Rico Gathers start and finish a sweet fast break dunk. It was that kind of day for the Bears and who knows, maybe this is the turning point in the season that Baylor fans have been waiting for. On the other sideline, backup point guard Stevie Clark was arrested and charged with “outraging public decency” early Sunday morning. This marks the second arrest for Clark in a little more than a month after he was caught with possession of marijuana around New Year’s Day. Most of us also remember that Clark was suspended for four games and sent home from the Old Spice Classic for another undisclosed reason back in November. Travis Ford has yet to comment on Clark’s status but it will be interesting to see how he rules on his talented but troublesome freshman this time around. Can you guess the team that sits in fourth place in the Big 12 ahead of Iowa State and Oklahoma State? It’s OK if you had to Google it for the answer, but yes… it’s West Virginia. WVU took down Kansas State on Saturday to get to 5-4 in Big 12 play (K-State also has a 5-4 record but they might as well be fifth with the Mountaineers owning the head-to-head advantage). This win coupled with their road victory at Baylor appears to have brought some at-large possibilities back to life. If they’re able to beat Oklahoma this week and continue to add a few more good wins, that might be able to offset the missed opportunities the Mountaineeers had in non-conference play to earn a Tournament bid. Could we be talking about EIGHT teams dancing from the Big 12? Wow! With Feast Week already in high gear, we’re outlining the roads ahead for prominent Big 12 teams involved in neutral site events this week. What They’ve Done So Far: Baylor entered 2013-14 season sneaking in at #25 in the preseason AP poll, and jumped out to a 4-0 start with a 72-60 neutral site win over Colorado and a 66-64 home win over South Carolina. While neither of these teams are featured in Ken Pomeroy’s top 50, they both provided solid tests for the Bears while working in new point guard Kenny Chery after the departure of standout guard Pierre Jackson a season ago. Baylor followed up its first two wins with a blowout home victory over Louisiana-Lafayette and by squeaking by with a 69-64 home win over Charleston Southern. Center Isaiah Austin was solid on the offensive end for Scott Drew last year, and his work on the defensive end early this season appears to be taking shape after blocking 15 shots in a span of two games. Baylor finds itself in the Maui Invitational Championship game against Syracuse on Wednesday night. First Round Recap: After watching fellow Big 12 foe Texas fall in Maui to host school Chaminade a season ago, the Silver Swords certainly had Baylor’s attention entering Monday night. That focus translated into a 93-77 win, despite the fact that Chaminade made 11 first half three-pointers in the contest. A majority of those points from deep came by way of Christophe Veridel, a Florida Gulf Coast transfer who lit the Bears up for 31 points the first 20 minutes of the game before being limited to just 11 second half points. Baylor had a hot shooting night themselves, connecting on 44 percent of shots from behind the arc and led by senior guard Gary Franklin, who paced Scott Drew’s squad with 22 points on 6-of-10 shooting from three. While most teams may have been rattled early on after seeing Veridel unconscious from deep, Baylor showed good poise to weather the early barrage of threes before using their size and athleticism to break the game open in the second half. This week, the Big 12 microsite will finish previewing each of the league’s 10 teams. Today: Baylor. Where We Left Off: They were playing for their NCAA Tournament lives late last season. Baylor faced a tough test in the quarterfinals of the Big 12 Tournament against Oklahoma State — not to mention an 18-point halftime deficit. They managed to trim the Cowboys’ lead to two with seconds remaining but Pierre Jackson’s running three-pointer careened off the mark as the buzzer sounded. The Bears, who had struggled to find consistency all season, hoped their 9-9 record in Big 12 play was enough to prove to the committee they were worthy of an at-large bid. But they were left on the bubble and had to settle for an invitation from the NIT. It was there when we saw the Baylor team most had expected in the preseason, ripping through five games to bring home the first NIT Championship for a Big 12 school. Jackson has since graduated, but a combination of players returning and the addition of several touted incoming recruits could result in a more promising finish this season. Positives: Almost everybody’s back! Isaiah Austin put his NBA future on hold by returning to campus after averaging 13 points, 8.3 rebounds and 1.7 blocks per game as a freshman. If there was one thing the 7’1″ Austin could improve on this year, it’s his outside shooting. It’s weird saying that about a center but the outside shot is a potentially lethal weapon of his offensive arsenal (33 percent from three-point range in 2012-13). The most important player returning is Cory Jefferson because his play usually indicated how competitive Baylor was in big games. I attended Texas-Baylor back in January and saw firsthand the kind of monster Jefferson can be when he’s playing his best. His 25 points and 10 rebounds were a big reason why the Bears won that day and went 13-3 in games where Jefferson scored at least 15 points. The best trait of these Bears is their frontcourt. In addition to Austin and Jefferson, Rico Gathers at 6’8″ and 270 pounds was a space-eater on the floor who scored the same amount of points as he did rebounds per game (5.7) off the bench. Their recruiting class also brought in four-star guard/forward Ish Wainwright (6’6″, 245 pounds) of Missouri who turned down offers from Ohio State, St. John’s and Texas to come to Waco; three-star big Johnathan Motley (6’9″, 210 pounds) of Houston decided to come to Baylor despite offers from Marquette, Oregon, Wichita State and his hometown school, Houston. News also came down within the last week that Denver transfer forward Royce O’Neale (11.2 PPG, 5.5 RPG in 2012-13) has been granted a waiver and will play immediately. 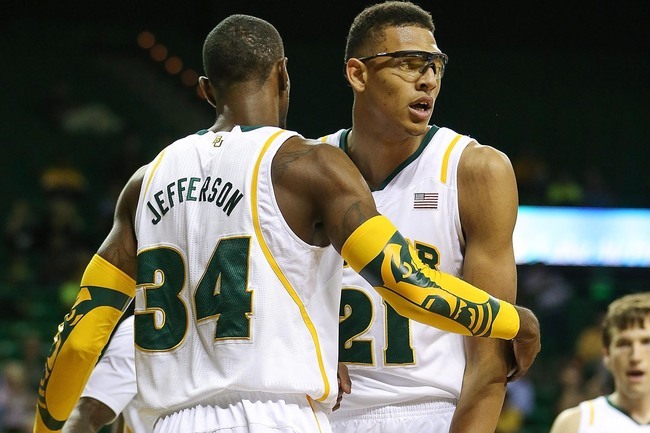 This might be the best frontcourt in America. Everybody’s favorite Canadian sharpshooter Brady Heslip is also back for his senior season and fellow countryman Kenny Chery is expected to step in as the starting point guard. Negatives: Pierre Jackson is gone. He was the heart and soul of the team, leading the Bears in minutes played, points, assists and spectacular plays, although I’m sure that last one isn’t a real stat. Another big loss is A.J. Walton, who wasn’t a big offensive presence but did serve in better roles as a second distributor and designated defensive stopper. Who will emerge this year to guard guys like Marcus Smart or quick guards like Naadir Tharpe or Buddy Hield? It might have to be Gary Franklin. With all their depth at the forward and center positions, there are five pure guards on the team and freshman Allerik Freeman‘s hand injury stretches those guards even thinner until his likely return in late November or early December. ESPN’s Brent Musburger and Fran Fraschilla gushed about a bunch of Baylor players during its victory over Oklahoma State Monday evening. They talked about how the 34 NBA scouts in the building surely must have noticed that forwards Cory Jefferson and Isaiah Austin combined for 11 blocks and two double-doubles. They talked about standout point guard Pierre Jackson, the preseason Big 12 Player of the Year and the Bears’ leading scorer. And they talked about Brady Heslip, the dead-eyed three-point shooter who has been suffering through a shooting slump after a terrific 2011-12 campaign. There was one more guy they gushed about. That’s A.J. 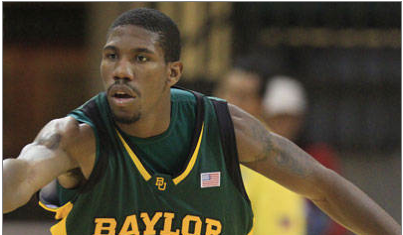 Walton, the senior guard and winningest player in Baylor basketball history. It’s about time you gush about him, too. He didn’t lead the team in scoring like Jackson, and he didn’t finish with a double-double or block any shots, but he made what Fraschilla called the “play of the game” when he saved a ball near the baseline and fired it to Jefferson for a dunk, helping extend his team’s lead to eight points after the Cowboys had staged a modest comeback. It was one of four assists on the day for Walton, who also tallied two steals, five rebounds and made a number of other hustle plays, none of which went unnoticed by the commentators. By the end of the game, it would be fair to say Musburger had more of a crush on A.J. Walton than he did on that other A.J.’s girlfriend, if you catch our drift. After losing not only the Pac-12 Defensive and Player of the Year at guard, but also the leading scorer in the post, California will turn to the newcomers for a spark on both sides of the ball. Ricky Kreklow leads this group, already having experience after playing a year at Missouri before transferring to the Bay Area. Alongside the sharpshooter that sat out last season, Mike Montgomery will turn to incoming freshman Tyrone Wallace to help add depth to a solid but shallow rotation. Below we’ll take a look at these those who will be playing their first seasons in Berkeley, and gauge what type of impact they could have and what type of role they might play in their first year. Ricky Kreklow, Sophomore, Wing, 6’6” 220 lbs, Missouri – If there ever was a guy to fill in for the loss of Jorge Gutierrez, it’s Kreklow. And while those are big words, Kreklow proved he’s the right man for the job all of last season while practicing with the team. The best thing about Kreklow is his scrappiness. Rather than being a lock-down defender, Kreklow specializes in the type of pesky, “come up from behind and knock the ball lose” type of defense. And if that ball does come lose, you can bet that Kreklow will be the first one on the floor to get it. The wing/combo guard averaged 0.6 SPG while at Missouri, which is especially good considering that he only played an average of 9.8 MPG. However, Kreklow’s biggest contributions will come on the offensive end. He will play a similar role to the one that fellow guards Allen Crabbe and Justin Cobbs played in 2011-12, which kept opposing defenses from solely concentrating on Gutierrez. This season, Crabbe will step in to pick up the points that Jorge left behind, and Kreklow will have to prove himself as a viable threat from three-point range in order to free up Crabbe. 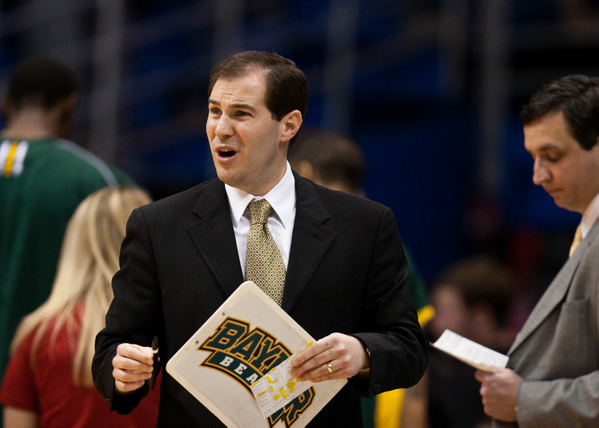 It’s hard not to like Scott Drew on a personal level. Responsible for perhaps the most remarkable rebuilding job in college basketball history, the young, vibrant head coach at Baylor has transformed a scandal-ridden program into a Big 12 powerhouse since taking over in Waco in 2003. In interviews, Drew speaks with a friendly, non-threatening tone. He hails from a famous basketball family as the son of Homer Drew and the brother of Bryce Drew, and he speaks openly about his faith as the face of a small, Baptist university. On the basketball court, Drew has shattered any previous notion of lowly Baylor basketball by recruiting elite talent to the school, resulting in two NCAA Tournaments, an Elite Eight appearance and, these days, a top-five ranking and a shot at a Big 12 title. He’s a nice man with a nice story. That’s the American Dream. 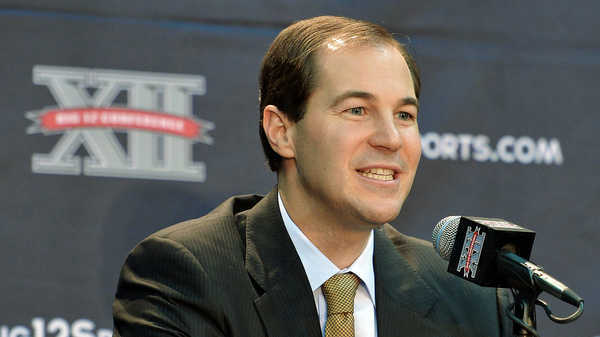 So why do so many people still criticize Scott Drew? As Mike DeCourcy of The Sporting News explains, his doubters hate him for a lot of reasons. Among them, you’ll hear that his teams play undisciplined and unstructured offensively. They’ll say he’s not a basketball coach, but instead an amasser of talent who recruits as many McDonald’s All-Americans and NBA Draft picks as possible without any regard for team basketball. Other Big 12 coaches have called him out for negative recruiting, and every so often, somebody will accuse Drew of cheating — without any evidence, of course. Baylor has not played flawless basketball this season, but don’t exactly take that as a criticism. The Bears are undefeated and off to the best start in school history, and yet they still have a lot of room for improvement. Although it handled Texas A&M from start to finish in Waco on Monday, Scott Drew’s team still finished with 16 turnovers and shot just 2-12 from beyond the arc. Guard play in particular was a problem: Pierre Jackson finished with seven turnovers, and Brady Heslip did not score. And yet the Bears’ 61-52 victory was hardly in doubt until a modest comeback by the Aggies at the very end of the game. Perry Jones, who did not play well in a win over Mississippi State on national television last week, redeemed himself with a double-double as BU’s frontcourt overpowered the normally physical Aggies. The guards will make the difference this season for Drew, and though they struggled in the Big 12 opener, that trend should not continue. Jackson, Heslip, A.J. Walton and Gary Franklin are an underrated group. 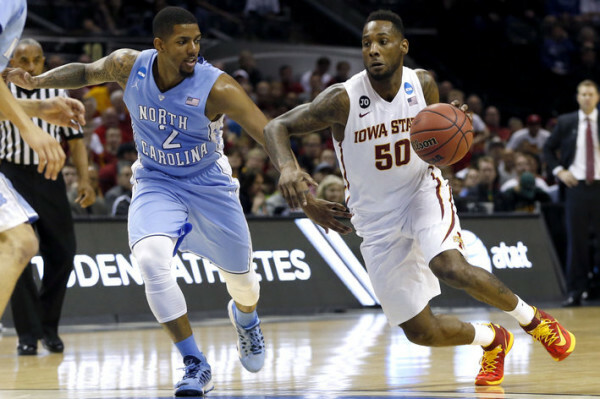 Iowa State is not a pushover this season. These guys can really shoot the heck out of the basketball, and they won their first Big 12 opener in five seasons by knocking off Texas 77-71 on Wednesday night. Yes, the Longhorns have problems of their own– more on that later– but Fred Hoiberg‘s team defended well, played with outstanding energy and got every shot it wanted on the offensive end. Iowa State made 10-of-21 three-pointers, and not a single trey came from Scott Christopherson, one of the top three-point shooters in Big 12 history from a percentage standpoint. Chris Babb and Anthony Booker combined to make eight of those shots, but forward Royce White controlled this game by getting to the free throw line and posing a matchup problem for UT. The Longhorns are small on the front line, and White exploited them by using his quickness. He announced to the Big 12 that he will not be easy to defend this winter. At 12-0 and fresh off a Las Vegas Classic sweep of St. Mary’s and West Virginia, there’s not a whole lot left for Baylor to prove. The 6th-ranked Bears seem to have it all: dominant bigs, freakish athleticism, terrific dunkers and, most importantly, steady guard play. Junior college All-American Pierre Jackson, Boston College transfer Brady Heslip and junior A.J. Walton have formed a strong trio in the backcourt, and they’re helping Perry Jones and the crew lead the way in the paint. Cal transfer Gary Franklin has also impressed since gaining eligibility, as he’s turned the ball over just once in four games. That’s a striking contrast from last season, when Scott Drew wasted a boatload of NBA talent due to poor guard play and other issues. Baylor still has some work to do in the rebounding department, and it also turns the ball over a bit too much at times. But those are kinks Drew will work out during the course of the season, and they shouldn’t hold Baylor back against Mississippi State. In many ways, the Bulldogs are a mirror image of Baylor. They have a dangerous frontcourt duo in Arnett Moultrie and Renardo Sidney, but Rick Stansbury’s guards have stepped up to help the Bulldogs to a 12-1 start. Dee Bost may be this team’s most important player as both a scorer and leader of the offense, and it’s going to be up to him to make smart decisions on a semi-neutral floor in Dallas tonight. Let’s not be silly here, though. This game will be won in the paint, and it all depends on which stars show up to play. Jones had a lot of questions to answer this season after a somewhat disappointing freshman season, but he has looked like a new man so far in 2011-12. That’s also an accurate description for Moultrie, who has embraced his role as the enforcer in Starkville after two modest seasons at UTEP. In his first year of eligibility, Moultrie has already recorded seven double-doubles, and he’s both getting to the line (6.0 attempts per game) and converting his free throws (88.3 percent). Against Jones, Quincy Miller, Quincy Acy and the other forwards with giant wingspans on the Baylor roster, Moultrie has a chance to prove his worth on national television. The key individual matchup is… Dee Bost vs. A.J. Walton/Pierre Jackson/Gary Franklin. Jackson has not started a game this year, and Franklin just became eligible four games ago, but they’re both stealing time away from starter A.J. Walton at the point. It’s not a bad problem for Drew to have, since all three are playing reasonably well. It’s no secret who runs the show for Mississippi State, though. Dee Bost will likely attempt the most shots for the Bulldogs tonight, he’ll lead the team in assists and he will also be the most disruptive defensive presence on the floor. After all, he’s in the top-10 all-time in steals at Mississippi State, which means Walton, Jackson and Franklin better take care of the basketball. The elite forwards in this game cannot get to work unless the point guards play well. For Bost, that means taking good shots. When MSU plays well, it’s usually because Bost finds a groove and plays within the offense. But when Bost struggles– say, like his 2-9 effort in a loss to Akron or a 4-16 performance in a near-collapse at Detroit– this team is in trouble. It will be interesting to see who Drew leans on at his point guard spot. Franklin and Jackson actually played more minutes than Walton in the team’s overtime win against West Virginia, and Jackson starred in that game with 23 points and a tying three-point in the final minute.